BonPhoto has many years of experience in professional photography and video production. If you want a good impression of the sights our island has to offer, our photography portfolio is a great place to start. Our photographers have captured a taste of the island’s unique atmosphere for you. At the same time, the portfolio showcases the photography and video services we provide on the island. Do you want to make sure that your vacation photos and videos turn out perfectly? Would you like to be a part of the memories you record during your trip? BonPhoto provides private video services and vacation photography for any occasion anywhere on the island. Our professional experience ensures that the memories you take back home will always be captured perfectly. Check out our photography portfolio and see our unique vision with your own eyes. While taking pictures can be a fun way to pass the time during your holiday, it can also create a distance between you and the very moments you want to experience. Would you like to be able to concentrate on your vacation completely, without losing the chance to preserve your memories for later? If so, BonPhoto can help. We provide professional vacation photographers who can make a picture-perfect record of your trip to Bonaire. Interested?  Take a look at our extensive vacation photography portfolio and get in touch with one of our photographers. Is it possible to film the perfect vacation video without ever leaving the frame? Thanks to BonPhoto, it is. In addition to our vacation photography portfolio, we have also our clients in the production of numerous holiday videos. Our cameramen have the skills and expertise required to shoot crisp, clear videos of you and your friends or family during your special moments. have a look around our website or contact BonPhoto directly.